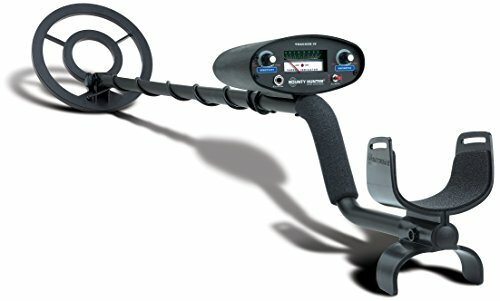 If you’re interested in metal detecting, you most likely don’t want just any metal detector – you want to find the best metal detector on the market. 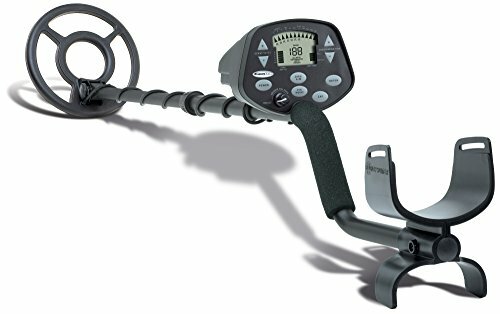 Whether you are heading to the beach or searching for buried treasure at a local park, you want to make sure you are investing in a metal detector that is going to meet your expectations. In this article, I am covering everything you need to know about the 25 best metal detectors. If you are interested in purchasing one, you have come to the right place. What Are The Benefits of Metal Detecting? Where Do I Start Metal Detecting? Here is our thorough write up and review of the best metal detectors on the market today. 8-Segment visual target identification and 4-tone audio I.D. This one is best for detecting coins, jewelry, and relics. The Fisher F2 has a pinpoint tracking mode, ten adjustable sensitivity levels and can detect metals as deep as 9 inches below the surface. The metal detector is also weather resistant and water resistant. This gadget is simple to operate, easy to turn on and off and has an adjustable volume depending on the size of your target and its depth beneath the surface. Users can also set their tones. 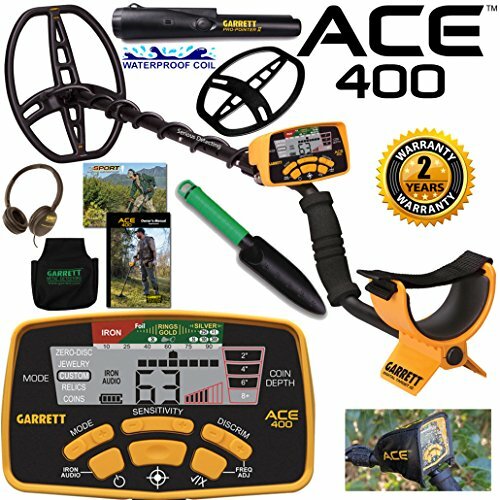 World's Best Selling Metal Detector the ACE 250 - NEW IN BOX! 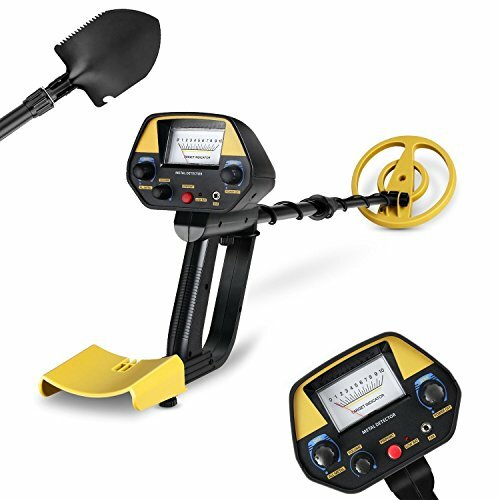 This metal detector is a great all-purpose detector for all kinds of detectorists. This one comes with a graphic target ID cursor and offers the ability to accept or reject specific targets depending on what you want to find. This detector comes with an electronic pinpoint which allows for easy recovery, and it offers eight different levels of sensitivity depending on what types of ground conditions you are dealing with. This feature makes this detector the perfect all-around detector. 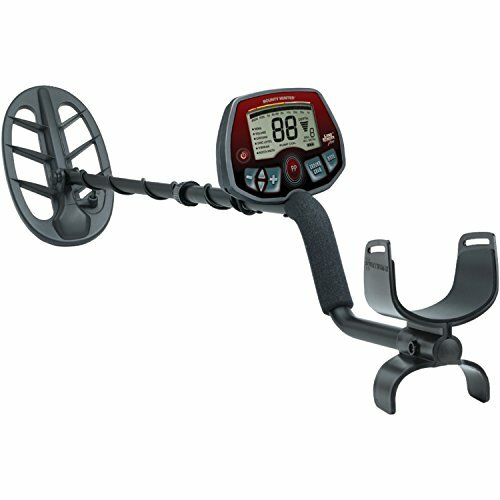 This detector is also one of the best of the popular Garrett Metal Detectors. The Garrett Ace 250 also has an excellent depth capability, so it makes it a unique piece of gold mining equipment. Lifetime warranty - for real! This one is the best metal detector for gold. You should have no problem picking up deep minerals as well as surface items like coins and jewelry. 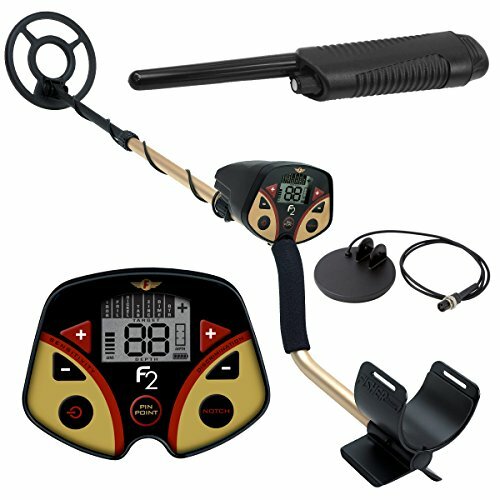 The Fisher F75 is more geared towards professional detectorists with 15 adaptable sensitivity levels a static, motion and discrimination mode and excellent balance. This detector is for the serious enthusiast who is serious about their hobby and wants to get out there and find some real treasures. The Fisher F75 is one of the lightest detectors on the market and can run longer than 40 hours on four AA batteries. The detector is weather resistant and capable of operating in harsh conditions. This detector also comes with a five-year warranty. The XP DEUS is the next generation in detecting technology. New Gold Progam with 10 included programs and room for 8 user customizable programs. 18 in all. Backed by a 5 Year USA parts and labor warranty performed in the new US repair facility. This one is a wireless metal detector that comes with full use headphones and separate controllers. The XP is one of the lightest detectors on the market weighing in at only two pounds. This one comes with an 11-inch double D coil that is great for covering a significant portion of open ground. This detector gets used most often for minerals and surface metals like coins and jewelry. This detector comes with a fully submersible coil, and the detector itself is weather resistant. You can also hook the XP Deus right up to your computer to receive constant updates from the company, so you are always up to date with the latest technology. Like to stay up to date with the latest tech? You should check out our waterproof headphones if you are planning to be at the beach / swimming this summer. 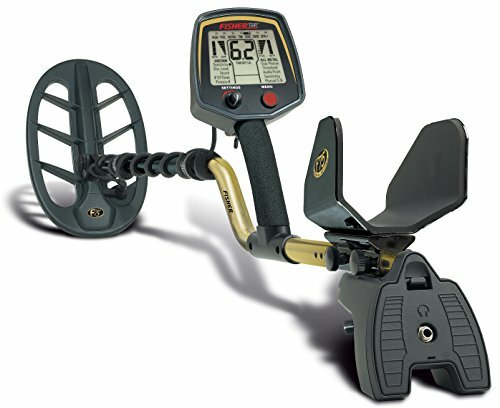 This one is your premier gold prospecting metal detector. The Garrett AT is perfect for hunting in all kinds of terrains from rocky, grassy and urban all the way to shallow water and muddy grounds. This detector comes with an 18kHz frequency that is perfect for detecting gold, jewelry, coins, and relics. This detector is suitable for people of all skill levels and ages. 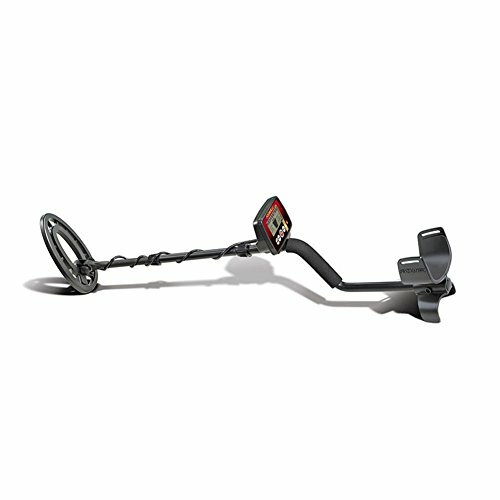 This one is even a good kids metal detector because it is lightweight and easy to use. This is one of the best kid’s metal detectors because it is lightweight and suitable for beginners. This detector is built to target small coins, jewelry, and relics close to the surface but can also detect as deep as 9 inches underground. The Fisher F22 is weather resistant and comes with ten adjustable sensitivity levels depending on what you are looking for and what kind of terrain you are hunting on. This is an excellent detector for kids because it is effortless to buy and get started. 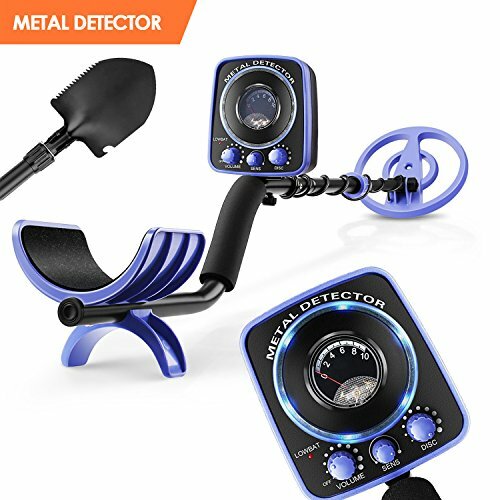 This metal detector is perfect for people of all ages and skill levels. It comes with a rugged design that is built to detect anything regardless of the terrain you are dealing with. This detector even works on rocks and shallow water. The coil has a preset ground balance to neutralize the response to mineral contents in the soil. This ensures you are not receiving false targets. It comes with an all-metal motion mode, discrimination, and two-tone audio mode to detect objects as deep as three feet underground. This is a great detector for beginners and intermediate users because it is very user-friendly. It has an easy to operate knob interface that controls the sensitivity levels and discrimination on targets. It is easy to switch between each setting as well. The Bounty Hunter TK4 also can detect different kinds of metals ranging from coins to household items and precious metals. The coil on this detector can get fully submerged in water, and the metal detector as a whole is built to be weather resistant. In my opinion, this is the best waterproof metal detector on the market. This is a great all around treasure detector. This detector comes with a V-break, variable tone breakpoint and pinpoints detection with a depth indicator on the screen. The Bounty Hunter Land Ranger Pro also comes with an adjustable tone audio system, menu interface, and variable notching. It has four different audio tones and seven modes of operation. It comes with discrimination, motion, and no motion settings. 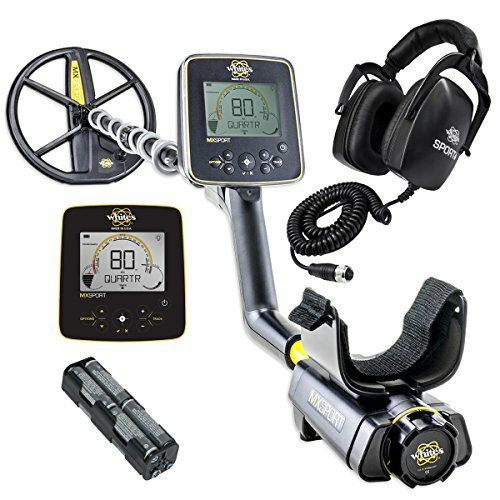 This is a true top of the line detector that comes with a rain cover, coil cover, and clear sound volume-controlled headphones. 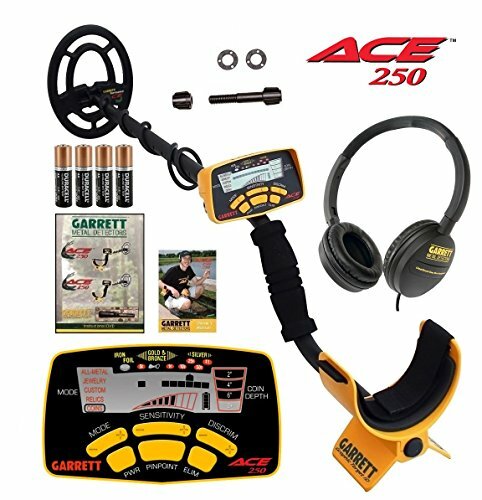 The Garrett Ace comes with a two-year warranty as well as a waterproof search coil that is interchangeable with the original. This detector is top of the line because of its 10kHz frequency which gives it the ability to find low and medium conducting targets. You can switch between frequencies effortlessly, and the Ace 400 has five discrimination modes, electronic pinpointing, sensitivity adjustability, and High-Resolution discrimination. The whole thing comes with headphones and a cover to protect you and the detector in harsh weather conditions. This one is primarily a kid’s metal detector. The BHJS Junior gets used to detect metal coins up to 5 inches deep and other large objects up to 3 feet deep. The BHJS has a target indicator that measures the strength of the signal. It increass in volume as you get closer to your target. This feature makes this very detector user-friendly for beginners who are just learning metal detecting. The discrimination controls ensure you do not waste time on things you don’t want to find. This detector comes with a graphic target ID cursor and a lot of discrimination options. Electronic pinpoint gets featured for a quick recovery, and it has eight sensitivity controls. The ACE is adjustable depending on your conditions and has a continuous target depth indicator. The submersible coil makes this detector very popular on beaches and around bodies of water. It’s a great idea to purchase gold panning supplies with this detector because it is a good gold detector and can get submerged in water. 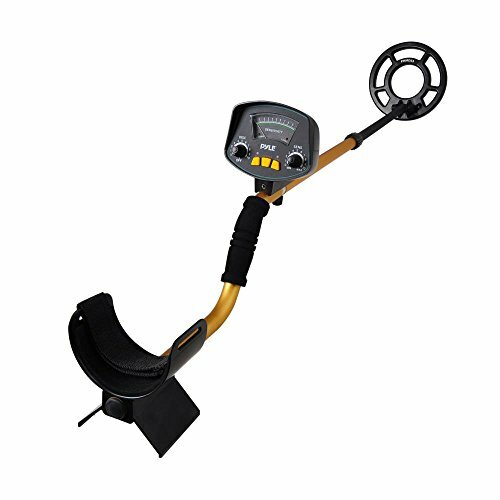 This is a top of the line metal detector with some of the best ergonomics in the industry. The F75 has powerful capabilities and performance with trigger-actuated pinpointing and variable audio pitches that are easily distinguishable. The detector comes with a large easy-to-read LCD screen with 0-99 numeric indication. The F75 offers double-filtered discrimination for areas that are especially trashy or mineralized. The fast grab technology from Fisher allows for impeccable ground balance. The Fisher F75 also comes with a non-volatile memory to save settings and a strong backlight for hunting at night. You can run this detector for over 40 hours on 4 AA batteries. It comes with a Double D waterproof search coil and a rain cover with battery housing. This device gets used for all kinds of hunting from service coins to deep hunting for gold. The Fisher F75 is one of my favorite top of the line detectors. 【All-Metal Mode &Discrimination Mode 】- meets your different needs. 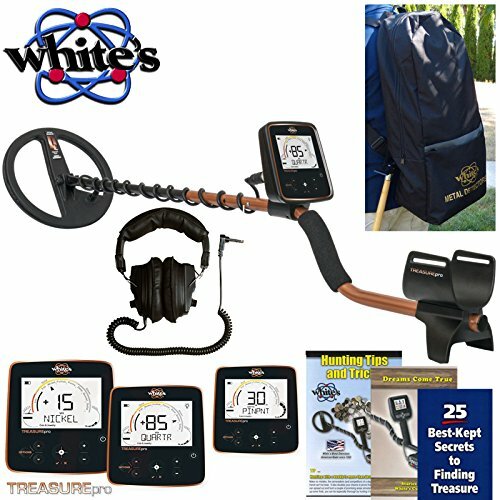 All metals will be detected In All-Metal Mode, while DISC mode can eliminate the target you don't want, iron, zinc, coin can be discriminated.It is ideal for coins, jewelry, iron, aluminum, gold, bronze, silver, prospecting, shallow water hunting, beach hunting.The metal detector is powered by one 9 volt alkaline batteries(not included). This detector comes with all metal mode and discrimination mode to qualify for every type of terrain and target. You can discriminate to find things like gold, bronze, and silver and avoid things like iron and trash. s very popular on the beach or in rivers. The INTEY GC comes with an audio jack so you can plug headphones in if it is noisy where you are but the sound is of good quality, and you can distinguish the different tones effortlessly. The detector also comes with a low battery indicator. The stem on the detector is also adjustable from 33.5” to 45” so that makes this device usable for people of all ages and sizes. The manufacturer offers a 90-day money back guarantee. This is the perfect underwater metal detector. It is submersible up to 10 feet and has GPS location to see where you are going and to track where you have been. It is also compatible with google maps so you can upload all of your target locations right to the PC and plan out your trips. The CTX 3030 comes with wireless audio, so you do not have to worry about getting tangled up in the headphone cords. This detector comes with FBS 2 technology and uses multiple frequency transmission systems that allow you to find more targets effortlessly at even greater depths. This is the top of the line detector the market has to offer. ★All-Metal Mode&Discrimination Mode - There're two modes for choosing, all metal mode and disc mode. With the former, all metals will be detected, while you can use the latter one for discrimination, thus iron, zinc, coin can be discriminated. Details will be listed below description. It is good for coins, jewelry, prospecting, shallow water hunting, beach hunting. This detector comes with all metal modes and discrimination modes so you can avoid things like iron and trash and zero in on the treasures you want to find. This detector is perfect for coins, jewelry and prospecting in shallow water for precious metals like gold and silver. The INTEY Classic has a high level of sensitivity so it can pick up on metal when detected even from ranges as deep as 6 inches. It uses a beep and pointer method to make you aware of the potential target. The detectors pinpoint function requires you to press a button and move the detector slowly over the potential target. If it beeps again, you have found something. Continue doing this until it beeps directly over the target and searches there. This is not the easiest way to find a target, and other detectors have much more improved and accurate methods of locating treasures. The stem and the coil on this detector are waterproof so you can submerge them into shallow water as long as the display panel gets kept away. There is a separate audio jack, so you can plug in headphones if you are in a noisy area. 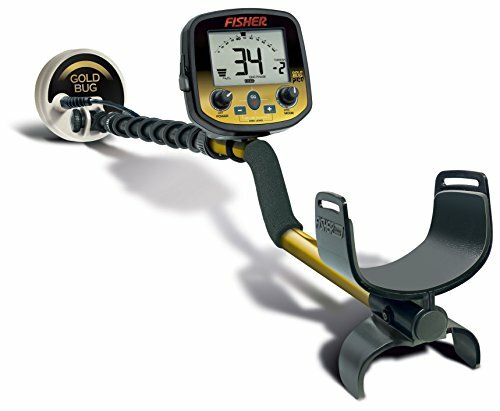 This one is a real top of the line detector for finding small gold nuggets in tough mineralized solids. This detector is one of the industry’s first variable break tone discrimination system that is highly tuned to identify gold nuggets. It comes with real-time computerized ground balancing, audio in all metal & discrimination mode, independent control over threshold & gain and continuous ground condition readouts. The Gold Bug Pro also comes with ground phase value to indicate what type of mineralization you’re dealing with and the screen graphic indicates the amount of mineralization. This detector comes with a professional four mode operating system that is programmable for ground balance and comes with a blanker system to eliminate surface trash while tracking deeper in the ground. Since this device is fully customizable, it allows you to have the maximum operational functionality. One of the coolest features of this detector is its sniff mode – this lets you clone targets you have found before to make it easier to see what you are looking for and ignore the things you do not want to find. The detector has three-tone audio discrimination that is readily distinguishable, so you know what you are going to find when you start digging. Ground-Trac checks the ground mineralization for active tracking and discrimination as well. ADJUSTABLE SENSITIVITY: Metal is detected once the coil approaches it, with an included 'ping' detection alert. Adjustable sensitivity at >13cm. It also has ten level adjustable discrimination and sensitivity controls. 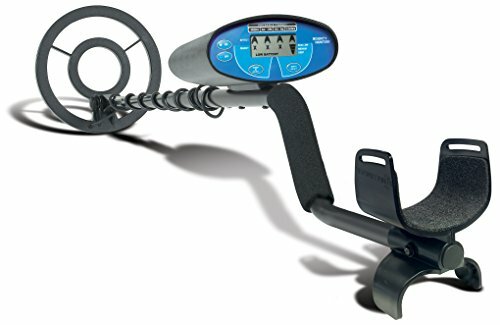 This is a retractable metal detector with quick 1-button press that works great for people of all ages and skill levels. It comes with 4 AA batteries for power, and you use one button to select your target type. Once you’re detecting there are green LEDs that indicate precious metals like silver and gold, and Red LEDs that indicate iron targets and coins. The detector makes different audio tones based on what you’ve found. Higher frequency for precious metals and low toes for iron and coins. This metal detector comes with adjusted sensitivity settings that allow you to detect metal, jewelry, coins, and precious metals. The detector alerts you with a ping and requires you to slowly move back over the area until you locate the exact target. The PyleSport has ten different levels of discrimination and sensitivity controls. 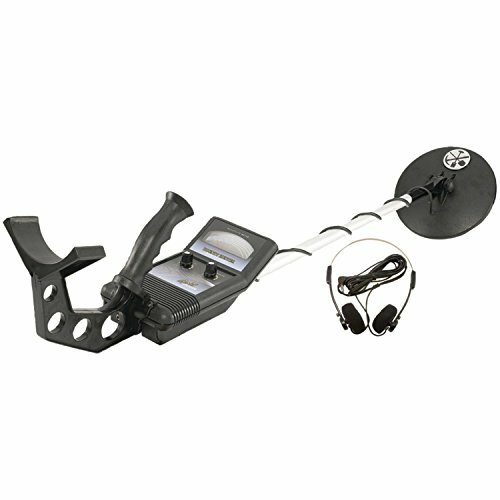 This makes this metal detector useful on a variety of different terrains and conditions. The pinpointer function on this metal detector also allows you to home in directly on your desired target without having to search around a localized area for too long. It accurately finds the treasures buried underground and tells you where to dig. Multi-Frequency Detection; Standard Coil 10″ (DD). 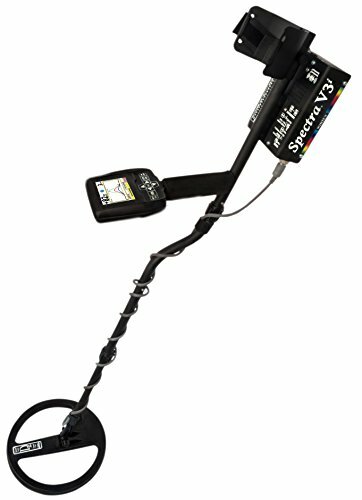 This one is a top of the line metal detector that comes with a colored HD display with adjustable backlight. It has a rechargeable battery system and ten different hunting programs built in with multiple frequency detections. This is a premier design from the well-known company White’s Electronics. This one comes with a two-year warranty, and the HD display makes it easy to know what you are targeting and where exactly it is. The functionality of this detector takes all the guessing out of the game. With this detector, you can locate just about anything from coins to jewelry and gold nuggets. V3i works on all kinds of terrains and in any weather condition. This detector is also water resistant and can get submerged as deep as two feet into the water. It comes with a concentric coil as well. This high-quality detector from White’s comes with an adjustable length stem that goes from 46” to 51” and is made of a sturdy all metal design. This detector uses 2, 9-volt batteries and has 9-inch silent search coils. It only comes with one detection frequency at 8 kHz but has a five discriminate range sensitivity and depth reading as you go along. The Coinmaster also comes with a water-resistant housing box and target ID. This shows you everything about your target, so you know what to expect when you dig it up. Using this, you waste a lot less time finding trash and junk and more time on the things you want to locate. This also comes with a 9” spider waterproof coil that can completely submerge in water, so it is perfect for the beach and along riverbeds. This high-quality detector from Whites comes with a 10” waterproof DD coil. It features six different search modes, automatic balance regardless of the terrain and a backlit user interface with large easy to read numbers. The detector comes with a separate jack for headphones, and the headphones come with the MX Sport. It has a pinpoint prospecting mode, relic mode, salt a freshwater mode, and comes with target readings and volume control. This detector is waterproof up to ten feet underwater and operates on 8 AA batteries. The coils have a 13.9 kHz frequency. This is a bundle pack from White’s Electronics. It comes with a set of headphones with volume control. 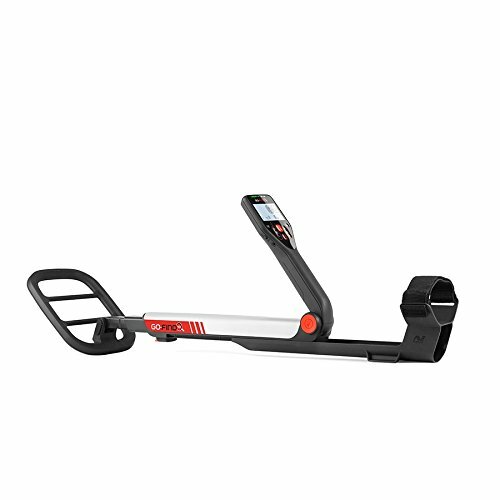 This metal detector also comes with a preset ground balance and what separates this detector from the competition is White’s automatic adaptability to each ground condition. As you are going along the detector adjusts according to whatever is underneath you. This makes it easy to find even smaller targets like small gold nuggets. 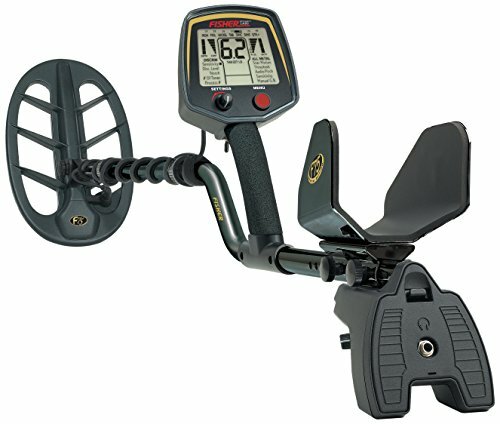 This mid-tier metal detector from Bounty Hunter comes with a complete automatic balance system to limit the number of false signals regardless of what kind of terrain you are hunting on. It comes with a one-touch discrimination and depth control which makes this an excellent detector for beginners or those with limited experience. This is also a good beginner detector for young adults and kids. The Quicksilver has a large LCD that is readable even at a distance for all kinds of users. This detector also has three-tone audio discrimination that is easy to identify. This ensures that you do not waste your time digging up trash and you focus your time on the precious metals and valuable treasures you want to find. All Bounty Hunter metal detectors come with a five-year limited warranty that backs faulty machinery. 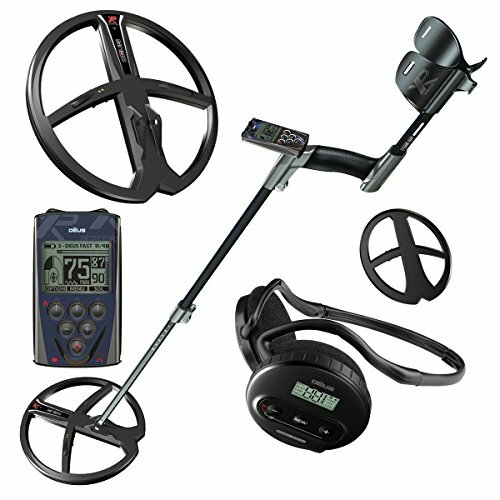 Many factors come into play when choosing a metal detector. Not every machine gets built for the same purpose, so you have to familiarize yourself with the different types of metal detectors before deciding on one. If you do your research, you’ll soon realize that not every machine is a gold detector or a jewelry detector. Each one has its unique purpose based on its design. There are three primary technologies built into each detector. Very Low Frequency(VLF) – This tech is your most common type of detector and has a low frequency that picks up on things like coins, jewelry, and buried relics. This is best for beginners or people doing it as an occasional hobby. Pulse Induction(PI) This tech gets used in more advanced machines for areas like beaches and abundant gold areas. This machine is built to pick up on minerals like salt and iron and efficiently reports on them. Multiple Frequency(MF) – This is a high-end technology that can pick up on anything. This machine is for serious detectors which do it as a career or income. This detector can also locate treasures hidden beneath the water. Another critical factor to consider when purchasing a detector is the coil that comes with it. There are many different sizminelaes and types, so you should have a general understanding of what the difference is – and why it matters to you. Coil Size – Usually you would think to get the largest coil, and you will get the most depth, but that is not always true. Large coils receive good depth, but they also detect more in the soil versus small coils; this leads to false readings and poor targeting. When you run into this problem, you reduce the sensitivity and lose the gained depth anyway. A small coil receives less depth but increases your sensitivity, so you can adequately identify specific targets in the soil. In the long run, you may spend less time sifting through trash with a smaller coil. Coil Type – There are many types of coils with the most common being the double d and concentric. The double d coil offers quality depth and deals well with mineralization in the soil. In my opinion, the most significant advantage of the concentric is its ability to pinpoint a target. It’s always a good idea to have multiple sizes and types on you depending on what your environment is and what you’re looking for. If you are in tight spaces like residential areas, you might want a smaller coil. If you are in a large open area like a beach or farm, a large coil might work better for you. Large coils are also huge which can put some strain on your arms if you do not have a harness. Screens are handy for metal detecting. Using a screen tells you things like target location, average depth, sensitivity settings, battery life and other things. Without a screen, you do not know what is beneath you or how deep it is so it is not as user-friendly. Some people prefer the excitement and feel that is the authentic way to experience the hobby. Personally, I believe a screen is a necessary part of metal detecting if you actually want to find anything good. If you are a beginner or looking to do this as a side hobby – a screened metal detector is a good choice. Most metal detectors can adjust depending on what the soil is like beneath you. Ground balance gives you the ability to bypass things you are not looking for, so you can focus in on the things you want to find. There are four different ground balance settings you can choose from. Automatic – This setting has the technology to adjust automatically depending on the soil. Preset – This setting is determined ahead of time by the manufacturer. It is meant to apply to the majority of situations, but you cannot adjust it. Manual – This is best for a gold detector. This setting requires that you adjust the ground balance every time you go hunting. Multiple – This gives you the option of choosing your desired setting whether you want the detector to adjust on its own – or you want to be in control of it. Metal detecting has a lot of obvious benefits such as being an enjoyable hobby or finding unique treasures underground. There are some benefits to this activity that you wouldn’t think about right away though. Everyone who operates a metal detector knows that you have to dispose of your findings properly. If you locate some trash while you are out hunting – you tend to throw that away as well. Especially when detecting on the beach, you find a ton of buried waste and things just floating around. When you are out detecting and throwing away the trash you find you are helping to clean up and improve the environment. You are also showing people that your hobby is not only fun, but it is beneficial to the community. In my opinion, this is just another reason why metal detecting is such a great hobby. You get to have fun, have an opportunity to find some fantastic (and valuable) things, and you are cleaning up the area at the same time. One of the greatest things about metal detecting is that everything has some form of value. Whether its trash you are cleaning up, precious metals you are finding or metals you can recycle – everything has some value. A lot of people save up any metal they find until they have enough to turn in to their local recycling center for money. Metals such as Aluminum, Copper, Brass, and Lead have a good share of monetary value. Knowing that you have an excellent opportunity to find something valuable every time you go out makes it that much more enjoyable. Some people are in this hobby for the money, and that is perfectly okay. I like to think of it as gambling (except the only thing you can lose is time). You have a small chance of finding something perfect every time you go out, and that makes this a fascinating hobby. People always want to know, “How to find Gold?” While there is no definitive answer to where you can go to increase your chances of finding gold – with skill and knowledge of your surroundings you can increase your odds. Gold rings, earrings, bracelets, and necklaces can sell for a good amount of money to pay for your hobby. If you know where to find gold you have a better chance of finding it. This comes with experience and knowledge of your location over time. This is what you always hear about when you think of the crazy metal detector guy on the beach. He’s looking for ancient artifacts that he’s never going to find. While that may be true for some, Dave Wise found a large collection of George Washington Inauguration Buttons while metal detecting. This provides another exciting aspect to the hobby. Imagine the look on his face when he dug up those buttons. I think I’d rather that than a lottery win – maybe. Lost coins are some of the most common things you find when detecting, and after a while, these can add up. If you search mostly around the surface, you can quickly bring in a decent haul of coins that can be used to buy small things or gift to the kids or grandkids. The best hobbies are the ones that get us off our butts and outside moving around. That’s one of the greatest things about metal detecting. It’s a relaxing yet exciting activity that requires you to be out in nature waiting for the beep. In certain situations, you’ll be required to dig holes and bend over as well so it’s a great way to get some exercise. Metal detecting is a popular hobby if you’re out doing it enough. If someone spots you detecting and they do so as well – they’ll come up and strike up a conversation with you. Detectorists are very passionate about their hobby and always have a lot of good stories to share about cool finds. This is also a great way to learn the best tips and tricks because you are learning from experienced people in your local area. I have found so many interesting places I didn’t even know existed from detecting. Just because you live in an area doesn’t mean you know all the nooks and crannies. When you are out detecting you learn all the little paths and walkways you would normally walk past. It is in those little-hidden areas that you find the best things, so you learn to keep your eyes open for these hidden areas. Seeing new places and making awesome memories there is a fascinating thing about this hobby. It is super important to research an area before hunting there. Even a public place can have a ban on metal detecting, and most public parks do. Make sure you are allowed to hunt in an area before heading out. When out at the woods, beach or private property be aware of signs. If you see signs posted private property in the woods, it’s safest to stay off of that land, same goes for the beach. If you are considering hunting on private property that is one of the best ways to find a great haul. The key to this is getting permission. If you can get the property owner to issue something to you in writing that is great – keep it on you at all times in case someone comes up to you and questions you. If nothing else a verbal okay will do the trick. When hunting on private property, it is also especially important to be considerate and report any treasures, remove any trash you find, and fill in any holes you dig. If you are wondering – “How to find buried treasure?” – You need more than a metal detector. There is a lot of equipment out there, and all of it is not necessary if you are starting out so let’s dive in and see what applies to your situation. To get started right away all you need is your detector, a shovel, storage bags and some gloves. If you are starting out with this hobby and are not even sure if it’s something you like than having just a detector should do just fine. Once you have the equipment you need to get started it helps to make a list of the areas you think you will have the most success hunting. Think about where you can go in your local area and whether or not you are allowed there. Send out messages or calls asking permission to hunt in those areas before going out. Lastly, take a look at your detector and decide if you need a harness. If you are going to be out detecting for longer than one hour, it may be beneficial to get a harness to keep yourself comfortable. Waving it back and forth for long periods of time can be tiring on your arms, and if you have been detecting for a long time, you know how it affects your back. Metal detecting is relatively simple, but there are some tips and tricks that beginners can use to start finding valuable things quickly. 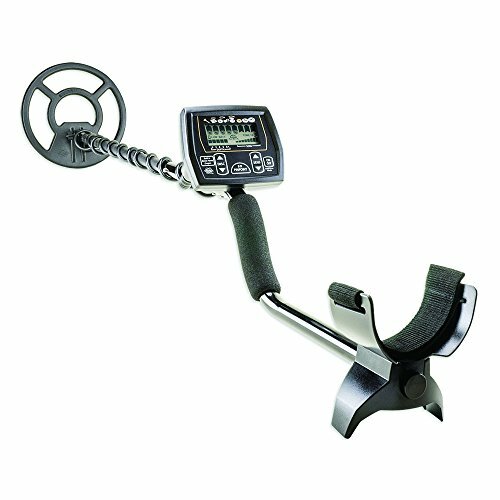 If you are starting out choosing the right beginner metal detector is a critical step. If you are a beginner, it’s probably best to go with a light detector that is capable of detecting surface metal like coins and jewelry. Doing this will give you experience and make you enjoy the hobby when your first start out. If you go right out and try and hit the gold mine, you may get discouraged and want to give up so be sure to choose a lower frequency detector when you are first starting out. Having your detector in the right settings and adequately swinging it is going to play a huge role in your success when you are out hunting. The best way for beginners to learn is to go low and slow. Always keep your coil close to the ground and move slowly enough for the detector to process everything it hovers over. If you go too fast, you won’t be able to pick up smaller things and can get discouraged if you are not finding anything. Especially if you are on a low beginner frequency, you want to move slow so you can pick up on small coins and jewelry. If your detector picks up on something, you want to make sure you have the right tools to get into the ground and find it. The favored method for digging when detecting is calling “plugging.” This process is digging up only enough ground in a way that you can then flop it back down covering up the hole, so you are not disturbing the property you are on. This method is the best way to stay on good terms with the property owners, so you can hunt there whenever you want. If you want to know the best things to look for; check out this list of precious metals. The biggest thing to realize when you are detecting is that you are going to find a lot of stuff. Most of this stuff will be junk. Patience is a virtue in this hobby, so you want always to remember you are in it for the fun, the exercise, and the adventure. The fact that you are out possibly finding valuable treasure is only a bonus. If this is a serious hobby of yours, you want your detector to last a good amount of time, so you aren’t spending tons of money on repairs. It’s imperative to take good care of the machine you plan on using all the time for your treasure hunts. Make sure you are lubricating the wires and removing any debris such as sand or dirt from the joints. It’s even helpful to wash the entire detector down with clean water after a long day. This hobby requires you to often venture pretty far off into the wilderness and with that comes dangers. You have to deal with the issues of snakes, poison ivy, and strangers who sometimes are not too happy to see detectorists. You should always carry extra food and water as well as personal protection items like flashlights and a pocket knife. You never know what you are going to encounter when you are out hunting. Be sure to protect your finds as well. If you happen to find something great and you are out in the open. Make sure you keep your valuable discoveries to yourself. Do not show anyone what you see or where you found it unless you are on someone’s private property. This mistake is a sure way to get things stolen from you or worse. You always have to protect yourself. A lot of this depends on your location and how comfortable you are there, but it’s probably best not to talk about how expensive your detector is either. 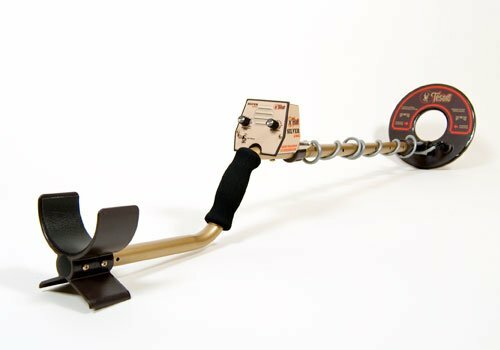 After reading this article, you should have a good amount of information on many different kinds of metal detectors on the market. Each detector has its ups and downs, but our two favorites are the Garrett ACE 250 and the Fisher F75. 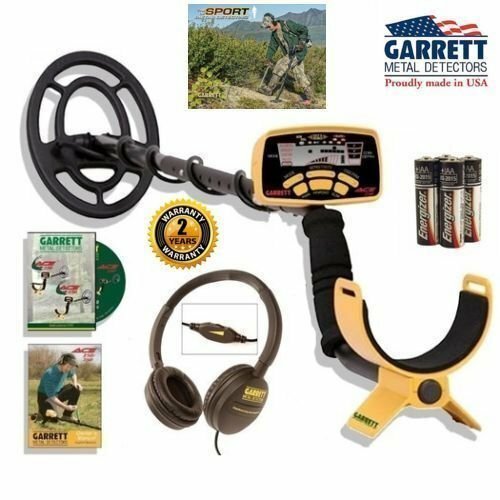 These metal detectors are from two of the most trusted and reputable brands out there, and they fulfill all the essential things to have in a good quality metal detector. 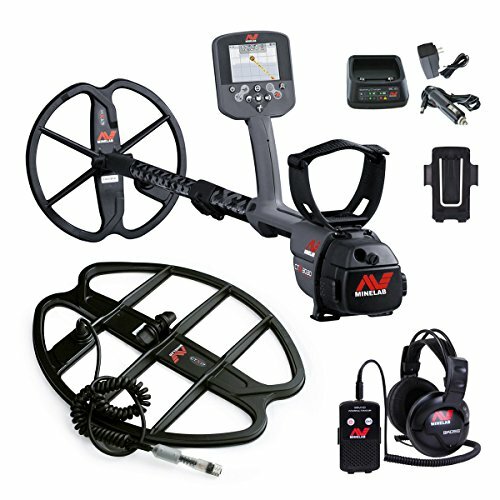 All in all, you can use your judgment and personal preferences when deciding, but these are the best of best if you’re in the market for a quality metal detector. Did you like this post? Something we didn't cover? Drop us a comment below!